Ever wanted to renovate your home? Do you know all the things you need to know before you start to renovate? Have you done all your research? This maybe one quick read that you might need to go through before you start. Brighten your home with ordinary lights without adding costly windows.If lighting is your biggest concern and you wish to brighten up a dull hallway, instead of splurging on installing a new window, simply add light pipes to the area. Adding a window requires you to create a hole in an existing wall and install the frames, which can be quite costly. 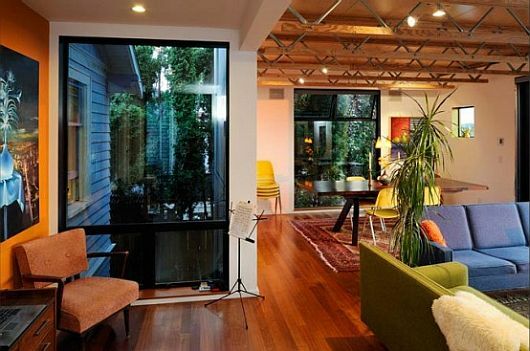 Light pipes costs 3 times less than a window and distribute the natural light beautifully in the space. Save money by doing little things yourself.Renovating a home involves a range of tasks including demolishing, cleaning and adding the finishing touches. Although professional assistance is required for major tasks like demolishing or adding new fixtures, etc. like when you are doing the roof you can go to roofing contractors in Royal Oak Michigan and you can do those simple tasks yourself to save some money. Instead of hiring a professional to clean-up you can simply clean the sawdust off the flooring or try doing some of the paint job yourself. No need to go for expensive furniture.Expensive furniture create a drain on your pockets. These days, there are alternative materials that provide good, solid furniture at a fraction of the price. Instead of buying an expensive mahogany chest, a particle board drawer will serve the same purpose for much less money. But if you must have the designs, you can go to a local carpenter and have them make versions of the expensive furniture you want at a more affordable price point. Let your contractor know your budget. You can save money by simply communicating your budget restraints with your contractor. Open communication allows the contractor to collaborate with you on the house remodelling project and come up with cost saving ideas. Start planning early so that you can get to know where to buy the right materials at a cheaper price or what contractor can do the job well at a minimum price. There are a lot of things to consider in order to finish the job you wanted to finish, one reminder to keep in mind though is to stick to your plan so that nothing would go to waste.